I understand the going to Menards. My husband likes to spend a lot of time there. Can you post photos to the facebook page of your trim and wainscoating? I would like to see it. We know someone else who is big Menard fan, when he gets to a city with one! 🙂 Thanks for your comments, and we’ll see if Lovina wants to share their project. 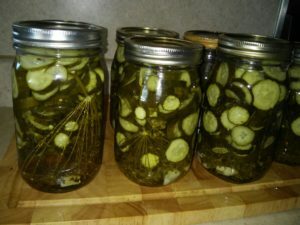 Those are my favorite pickles. Many hands makes light work! I am interested in how you make freezer pickles! 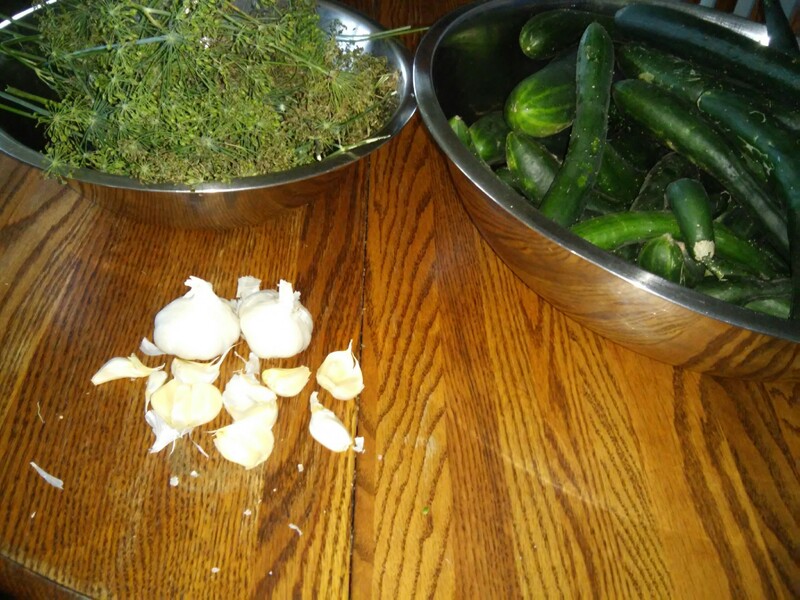 I do freezer slaw; is the pickle recipe similar? Nothing like company coming to get one to finish projects, is there? Have a wonderful week! I am a fan of this week’s Sweet Dill Pickle recipe, but I’ve modified it slightly for a different taste. 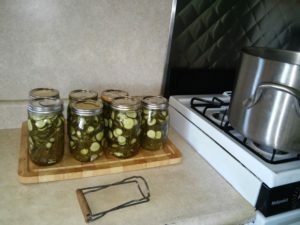 Reduce the amount of sugar by one cup and add a small hot pepper (I use jalapenos) to each jar . The result is “Sweet Heat”, just a little bite in the sweet dill mix. Try it and enjoy! We’re betting that Lovina and family would love that because they do like their hot peppers! Thanks, Cynthia! Merri, your story is certainly very moving about your son… glad you are moving forward. God bless! Thanks for those prayers for a job for Verena.